I’ll state my position first. Yes we got a lot from it. I’ve heard many ideas on what good €1.4bn could be used for. Thousands of nurses for 10 years. A dozen schools, etc. But I’m still decidedly of the opinion that we accomplished an amazing achievement and that it was worth it. And here’s why. Agreed, €1.4bn is a lot of money. But the Rosetta mission took 10 years, and the work up to the mission took 8 years. 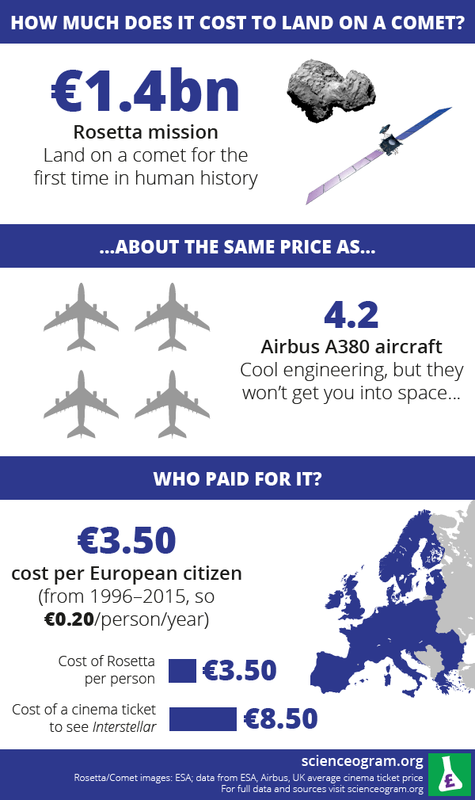 Over the entire period 1996-2015 Rosetta cost the EU €3.50 per person, or €0.20/person/year. I don’t know about other people, but I’d bet I lose more money to the sofa per year than that. Bearing in mind, a lot of the costs were jobs in European institutes and companies, and that’s not a bad thing. Comet 67P/Churyumov–Gerasimenko on 12 September 2014, as seen by Rosetta’s OSIRIS wide-angle camera. 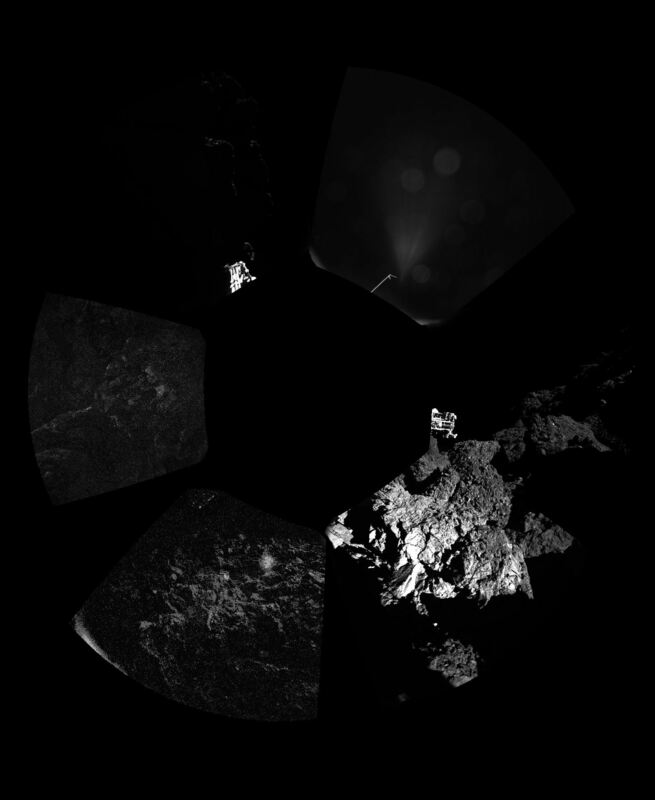 Other than the mere accomplishment alone, there are two types of benefits from grand scale scientific missions like Rosetta; human benefits and intellectual benefits. Human benefits include possibly inspiring more children towards sciences, extra funding and jobs and the subsequent technology derived from said work (smoke alarms, satellite TV and GD-GPS navigation are all derived from space agencies technologies). This comes from the extra exposure such missions provide, reaching to new audiences and fuelling excitement and investment. Intellectual benefits are solely the advancement of human knowledge and experience. 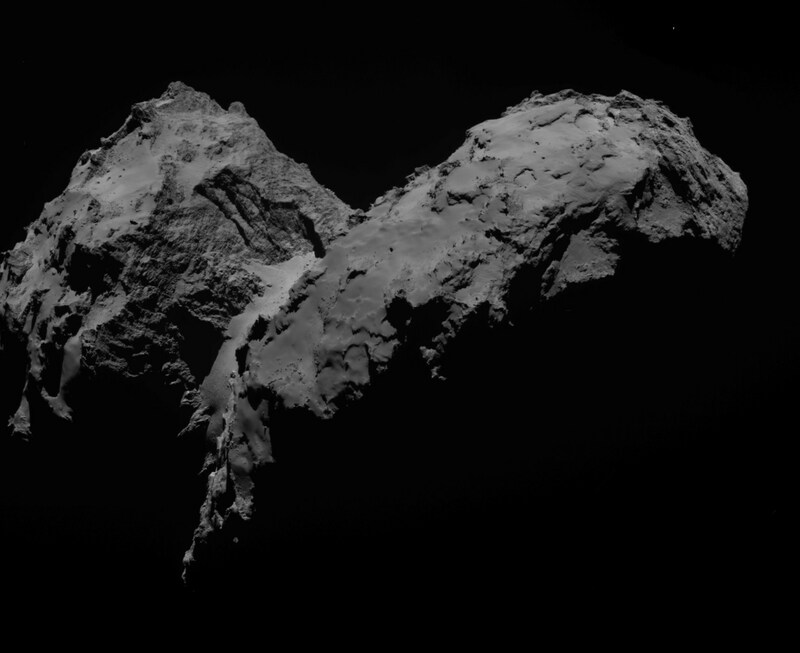 The lead story has been the discovery of organic compounds on 67P. Contrary to the headlines, this was not the first time organic compounds have been observed from a comet. In 2009, Stardust collected particles from the tail of comet Wild 2, and returned to Earth where analysis showed amino acids, DNA and RNA present. However, Philae provided the first in situ detection, which will hopefully be able to continue in the summer of 2015 when the lander should be getting enough sunlight. This strengthens the “cosmic primordial soup” theory, which proposes that the basic components to life are common place throughout the universe, and that only the planetary conditions need be favourable for life to develop. The Earth’s magnetosphere, temperatures, plasma density and the Van Allen radiation belt were all measured with increased accuracy, allowing better weather models, etc. Mars’ “dayglow” and “nightglow” were observed in situ for the first time, informing us on how carbon dioxide behaves at high altitude. Rosetta also scanned the comets LINEAR, Tempel-1, Steins and Lutetia. And finally, the two videos below show the route Rosetta took to reach Comet 67P. Space missions don’t get to prove those sorts of manoeuvres that often. This will help with future deep space missions. For me…I’m actually quite happy with the value from the theoretical €0.20 per year I’ve paid as an EU citizen. I’ve been impressed with amount of knowledge and experience gained for both pure science and practical applications compared to the cost over the period. So I say yes. It was worth it.